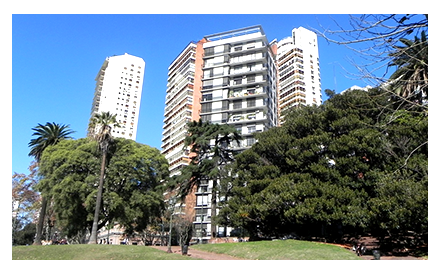 This beautiful apartment located in Belgrano, one of the most quiet and residential areas in the city, is ideal for having an unforgetable experience in Buenos Aires. It is perfect for relaxing while being in the capital rush of the city. Definately a place that provides comfort and peace to your stay. This beautiful apartment located in Belgrano, one of the most quiet and residential areas in the city, is ideal for having an unforgetable experience in Buenos Aires. It's perfect for relaxing while being in the capital rush of the city. Definately a place that provides comfort and peace to your stay. Single room with air conditioning to rent in Belgrano neighbourhood. Excellent location, in an quiet and very sunny eight floor. Single room with double bed and cable TV to rent in Belgrano neighbourhood. Excellent location, in an quiet and very sunny eight floor. Single room with private bathroom (without the shower) to rent in Belgrano neighbourhood. Excellent location, in an quiet and very sunny eight floor. This sunny and tranquil room is located in Belgrano neighborhood, just 3 blocks from Cabildo Avenue. Confortable and luminous room is located in Belgrano neighborhood, just 3 blocks from Cabildo Avenue. Amazing room with single bed in Belgrano. You’ll enjoy a fantastic view from floor 26.